What Is Electrical Safety Consulting All About Anyway? When people ask me the age-old question, "So what do you do? ", I often wonder what my answer of "Electrical safety consulting" means to them. I wonder if they picture me explaining to someone the dangers of phishing a burnt bagel out of a toaster with a fork, or straightening their hair while sitting in the bath. Sometimes I'll add the word industrial which should at least shift the thought of the toaster to the lunch room at work. But in all seriousness, I wanted to write this article to make sure those who do have a need for electrical safety consulting can have an appreciation for what it's all about. Who might be interested in electrical safety consulting? If you work in any commercial or industrial facility that uses electricity then you need to think about electrical safety. Electrical safety doesn't seem to be a strong point for most people and businesses. I've always thought that it has something to do with the fact that most people don't understand electricity in general, so in turn, most people don't understand electrical safety. This is where consulting comes in. In essence, a consultant is a person who has special skills and knowledge in a certain area or discipline. 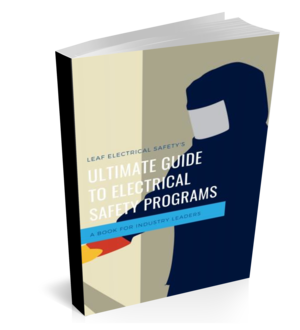 Your electrical safety program is your playbook for dealing with the hazards of arc flash and shock. You need to come up with strategies and procedures to ensure that all your employees (not just electrical workers) are kept safe from electrical hazards. The catch is that those strategies and procedures need to comply with certain standards and regulations while at the same time not interfere with operations and production. If your not familiar with the industry best practices and what's generally accepted as safe work practices in the electrical work then you run the risk of either hampering your organization or not doing enough to keep your workers safe. An electrical safety consultant can provide sound advice on what procedures will suit your business activities and also meet the requirements of the law. When we are talking about electrical safety we are talking about two hazards, in particular, arc flash and electric shock. As an employer, you have a responsibility to identify the electrical hazards that could harm any employee, contractor, or visitor that falls under your umbrella. You might think that you've already got this covered, but you would be surprised just how many electrical panels and enclosures are not properly labelled with the voltage (shock hazard) and the incident energy (arc flash hazard). Hazard identification is critical to the success of your electrical safety program. There are a lot of companies out there providing arc flash studies (which in the end would give you both the arc flash and shock hazards) that are not familiar with the application side of the electrical safety picture. This is something you do not want to overlook. Just because someone can operate a software program and print labels it doesn't mean they are the best option for completing an arc flash study. It would be like hiring a carpenter for your fall-arrest program. Sure, they can definitely identify the hazards by telling you how high all the buildings and platforms are but do they understand fully how those numbers will impact your electrical safety program? Our society has a major blind spot when it comes to spending money... well, we probably have many blind spots... but here is one of them that I've noticed that impacts the electrical safety world. We seem to fall asleep at the wheel when spending money on PPE, tools and equipment. I'm sure there are some deep psychological reasons behind this but here is what I've noticed. People have gotten used to spending big dollars on things like electrical switchgear or motor control centres. So in an effort to improve electrical safety or reduce arc flash levels, they will stumble across an idea that "solves" their problem. I've seen companies spend hundreds of thousands of dollars purchasing, installing, retrofitting and replacing equipment to solve a problem they didn't really have. It may seem like a lot at the time, but spending a few thousand dollars on sound electrical safety consulting can save you massive amounts of money. Hopefully, you've got a better idea of what electrical safety consulting is all about and how you could benefit from having one around. If you've enjoyed this article please share it with the links provided below. You can email me at jon@leafelectricalsafety.com any time or find me on social media @jonmtravis.